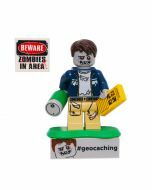 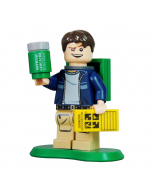 This custom cat brick is trackable at Geocaching.com. 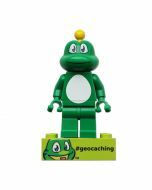 It measures about 3/4 inch long and about 1 inch tall. 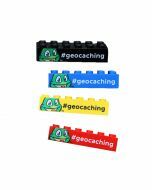 Signal the Frog® Trackable Brick Set- All 4 Bricks!